Pat Doyle thought the world of Young Turk in his days 'between the flags' and after spending plenty of time on the side-lines the son of Poliglote could be set to make up for lost time after his win in the Bluegrass Horse Feeds Maiden Hurdle at Bellewstown today. 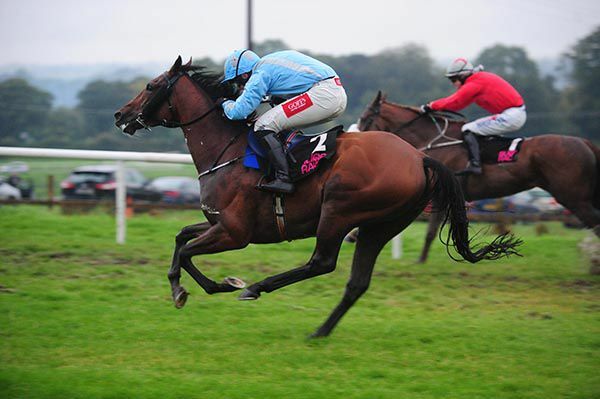 Gigginstown House Stud and Joseph O'Brien have the six-year-old now, and under Shane Shortall in this two and a half miler he beat former Cheltenham Bumper hero Silver Concordeby a length and three parts. 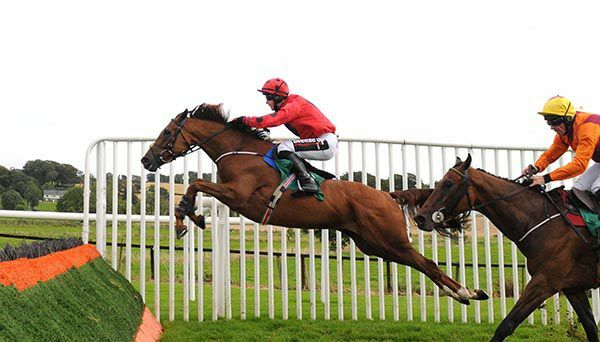 Shortall said: "He's still a big, raw horse - that's only his fourth run and his second over hurdles. 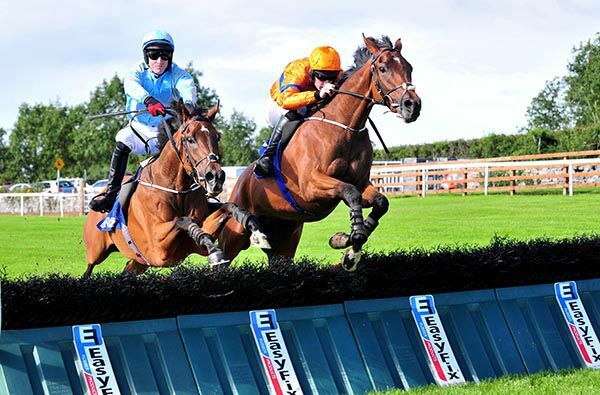 "I don't think the track (Tramore) suited him the last day. He found loads for me today and had plenty left in the tank. "I wouldn't call him an out-and-out three miler but I imagine his game is fences and anything he does over hurdles will be a bonus. 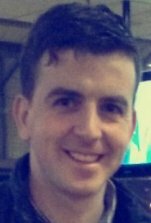 Valgor Du Ronceray gained an overdue win when running out a cosy winner of the opening Adare Manor Opportunity Maiden Hurdle at Ballinrobe. Shane Shortall bounced out in front on the 5/4 favourite in the two-mile contest and he always looked in control. Joseph O'Brien's charge was shaken up to assert after the last and could afford to cost home in the closing stages to record a seven-length win over Now Let Go. 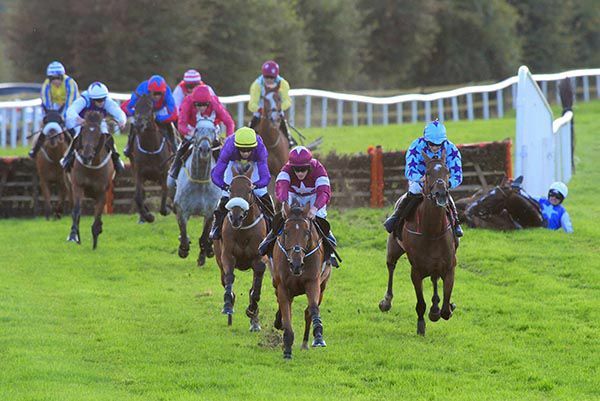 The winner had been placed six times since winning his bumper back in January 2015. "Joseph told me to keep everything straightforward on him as he has run loads of times,” said Shortall. "I jumped out and no horses bothered me and in the end he has done it easily. It was a good opportunity for him and he took it. "I have three winners left on my claim now." Trainer Joseph O’Brien completed a double at Killarney today when his well backed Grey Waters landed the Seamus Mulvaney Bookmakers 3-Y-O Hurdle under jockey Shane Shortall. The daughter of Mastercraftsman was backed from 5/1 this morning in to 11/4 at the off and in the end battled well to beat stablemate Pronounced and adding to the earlier win of another stablemate High Language in the fillies’ maiden. Trainer O’Brien wasn’t present but afterwards Shortall stated “she ran very well the last day against Brutal where J.J. (Slevin, jockey then) felt he maybe should have made a bit more use of her. I went out with that in my head today and forced the gallop a bit and kicked on. “She did it really well in the end and won cosy enough. She jumped very well and was like a handicapper over the last two. 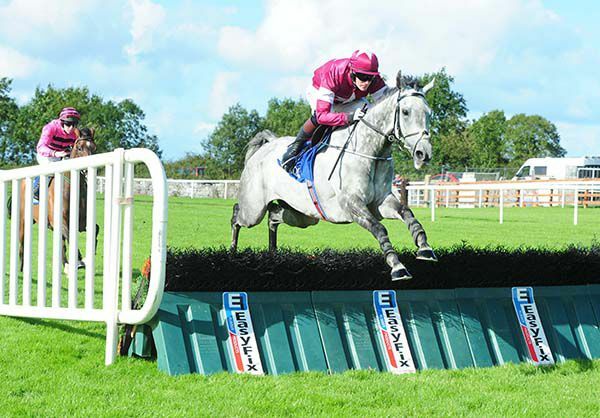 Arkwrisht powered clear in the closing stages to open his account over fences in the beginners chase at Kilbeggan. Joseph O'Brien's charge was well backed (11/2 into 3/1) having finished runner-up to A Rated at the venue on his last start. JJ Slevin drove his mount into the lead after the second last and he was in command going to the final fence. The Lavirco gelding didn't get high at the last but it didn't stop his momentum as he went on to record an 11-length success over Sizing Network. “He had a good run here the last day. I'm very fortunate to get the ride, it's great that Joseph put me up on him and it's great to get the opportunity from Mr O'Leary and the Gigginstown team,” said Slevin. “He's a big old horse and I didn't want to break his rhythm down to the last and wanted to keep going forward. “He galloped out through it and galloped away from it like it wasn't there. That's just him and it's great he stayed on his feet anyway. High Language made it third time lucky at Killarney today, winning the Irish Stallion Farms EBF Fillies Maiden for brothers, trainer Joseph and jockey Donnacha O’Brien. The daughter of Lawman had previously filled third place in two starts and today was all out to hold the strong staying effort of runner-up Alaykha by half a length. The success was the 40th this season for last year’s Champion Apprentice Jockey Donnacha O’Brien, which is eight short of last year’s 48 wins. Sad to report that the team has lost Tommy Welsh condolences to all connected with the horse. 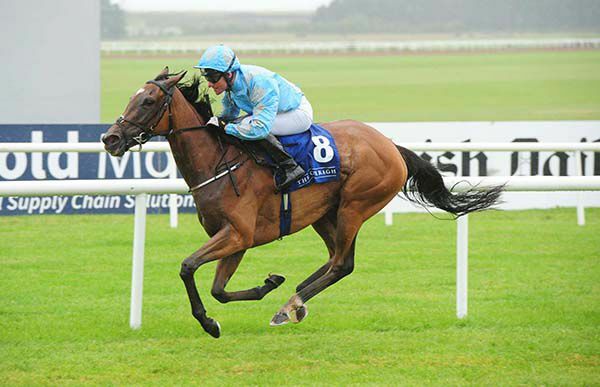 Chess Grand Master ground out a victory in gruelling conditions in the bumper at Sligo. Joseph O’Brien’s 9/10 favourite was partnered by Tom Hamilton and the pair challenged the leader Thereisnodoubt approaching the home bend. Chess Grand Master, who raced wide throughout, held a narrow advantage up the home straight as the rivals raced track-width apart. He kept going all the way to the line and had a length and three parts in hand over runner-up Thereisnodoubt at the finish. The runner-up was nicely backed at the track from 33/1 to 16/1. “It was hard old work on that ground. He's had two good runs, has a good attitude and kept galloping,” Tom Hamilton said. 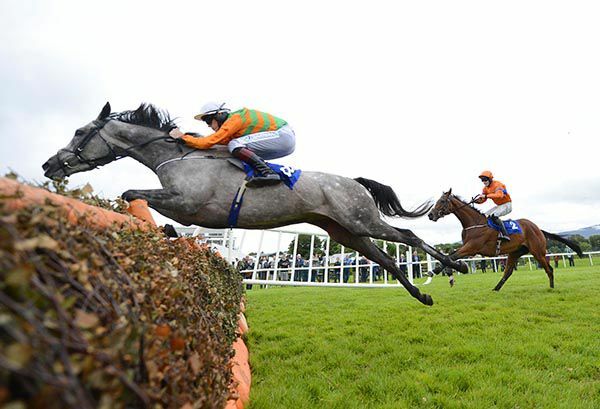 fHaving had to settle for fourth place in the Debutante on favourite September,Seamie Heffernan was back at the number one on his next ride. He rode Joseph O'Brien's Detailed to a good win in the Irish Stallion Farms European Breeders Fund Fillies Handicap at the Curragh. Five to two favourite Detailed chased the leaders, and she improved to lead two furlongs out. Ridden clear over a furlong out, the Motivator filly stayed on strongly in the final furlong for an easy six and a half length verdict over Pearl Of The West. "She was a bit unlucky at Galway. She's not over big and hopefully she'll keep improving," said Heffernan. 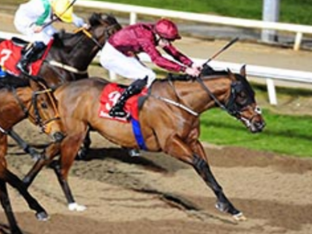 Duplication scored a second course and distance win in the Crowne Plaza Race & Stay Rated Race at Dundalk today when providing jockey Donnacha O’Brien with a 40th winner of the season and boost his albeit reasonably small prospects of winning a first Jockeys’ Championship. The son of Requinto won over today’s five furlongs trip at the Co Louth venue last December, also under Donnacha O'Brien, and the pair today scored a half length win over Ice Cold In Alex. Winning trainer Joseph O’Brien was absent but brother Donnacha O'Brien, who trails Colin Keane by 15 winners at the head of the Jockeys’ Championship, later commented “he had a bit of a break and he had a good run the last time so he probably improved a little bit from it. 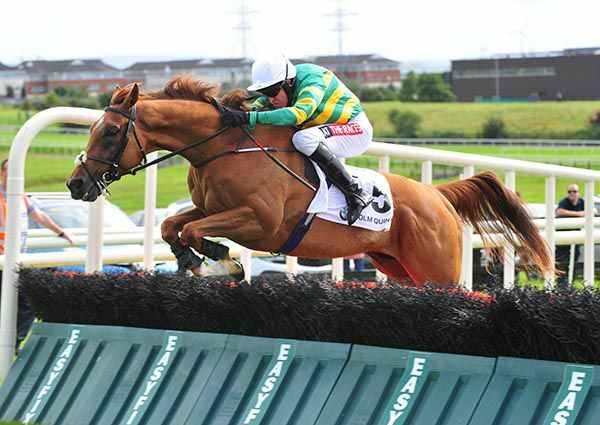 Sad to report the loss of the promising Mare Kalopsia condolences to Joseph and all the team connected with the horse. Pronounced led home a 1,2 for Joseph O'Brien in the opener at Ballinrobe this evening, the JJ Burke Peugeot 3-Y-O Maiden Hurdle. O'Brien saddled three in this two mile one furlong contest, with his Richard Strauss (evens-fav) and Thomas O'Malley (2/1) dominating the betting. Pronounced, who failed to win in sixteen starts on the level, was available at 14s this morning, touching 10s on-course before going off a 9/1 chance. Settled towards rear by Jody McGarvey, the son of Power made a mistake at the first, and had just one rival behind him with a circuit to race. He was pushed along in sixth after two out, and soon made good progress on the outer. He was ridden to lead after the final flight, and kept on well to score by five lengths. The aforementioned Thomas O'Malley, who wasn't fluent over the last, filled the runner-up spot under JJ Slevin, while 40/1 chance Masterstonemason was another length and a half back in third for Flan Costello and Rachael Blackmore. The favourite Richard Strauss was pushed along from three out, and eventually finished a disappointing seventh with Shane Shortall aboard. "He surprised me because he had a low enough level on the Flat. 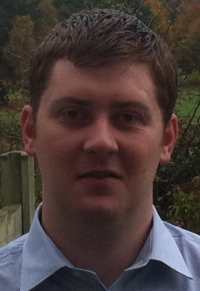 He had a bit to find with a few horses there on Flat ratings," said McGarvey. "They went quick early and they stopped before the turn in. I took my time and it's probably paid off with him. "I'd say if you look back on the form of it in a few months it'll be weak enough." Joseph O'Brien is leaning towards this weekend's Irish St Leger Trial Stakes with Rekindling, rather than the Betway Great Voltigeur Stakes at York next week. The three-year-old son of High Chaparral, fourth in a strong renewal of the Dante Stakes before finishing down the field in the Investec Derby, was last seen beating older rivals in the Group Two Curragh Cup and O'Brien is keen to get another run into him before a return to top-class company. When asked if the Voltigeur was the plan for Rekindling, O'Brien told sportinglife.com: "I’d say probably not. He is entered in the Voltigeur, but he’s also in at the Curragh (Irish St Leger Trial) and he has an option in France too. It's more likely to be the Curragh at this stage. "But the plan would be to get another run into him before a St Leger. It'll be the English Leger (September 16) or the Irish Leger (September 10), and that decision will be made closer to the time. "He’s been in really good form since his last race and he won nicely that day." Rekindling is a 12/1 chance with Sky Bet for the William Hill St Leger at Doncaster. 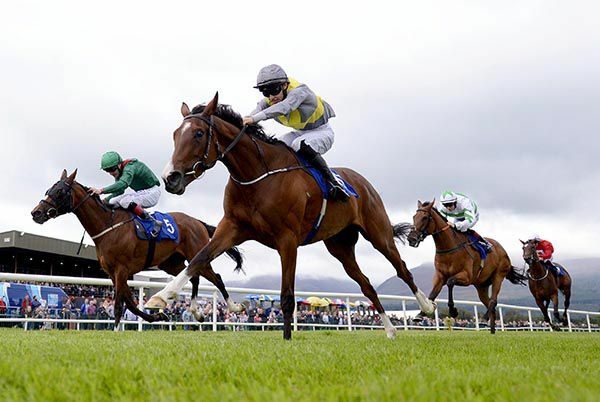 O'Brien has another possible Welcome to Yorkshire Ebor Festival contender in Sky Bet Lowther Stakes entry Now You're Talking, who was fourth to Heartache in the Queen Mary Stakes at Royal Ascot before a fast-finishing third in a Listed race at Tipperary in early-July. The trainer explained her subsequent time off the track: "She was just beaten in a Listed race after which she had a small setback so that's why she's not been out. "There's no final decision on the Lowther yet but she's bred for six furlongs and shouldn't have any trouble with the trip." 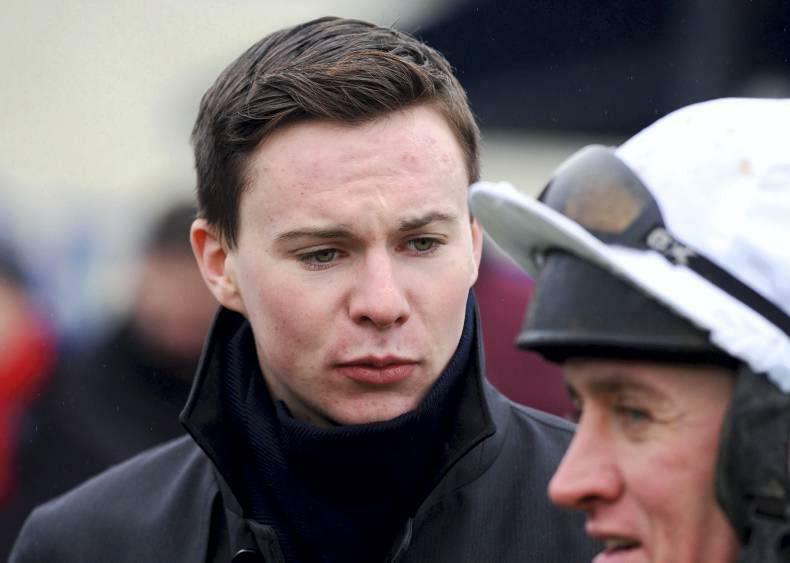 Joseph O’Brien registered a double at Downpatrick today as his Mischievous Max (5/2) landed the Armstrong Surfacing Maiden Hurdle, under the trainer’s cousin and jockey J.J. Slevin. The son of Dubai Destination had previously won his bumper at Down Royal in May and today made it third time lucky over hurdles, when finding more than well backed 8/11 favourite Mountain Rock on the run-in. Slevin later stated “he's a good, tough horse and he's been very consistent. I was keen to use his stamina, he jumped very well, handled the track very well and it was a good performance. “Joseph's horses are in unbelievable form and they are in great health." O'Brien, whose father Aidan O'Brien earlier won the featured Group 1 Phoenix Stakes at the Curragh, was earlier successful at the northern venue with the J.P. McManus owned, Jody McGarvey partnered Unicorn. The J.P. McManus owned, ex-Ballydoyle trained Unicorn continued the good recent work of his new trainer Joseph O’Brien when winning the opening Keeping It Country Richie Remo Maiden Hurdle at Downpatrick today. Jody McGarvey has made hay this summer with the injuries to McManus’ principal jockeys Barry Geraghty and Mark Walsh and today steered Unicorn to a hard enough fought four lengths win over Iolani. 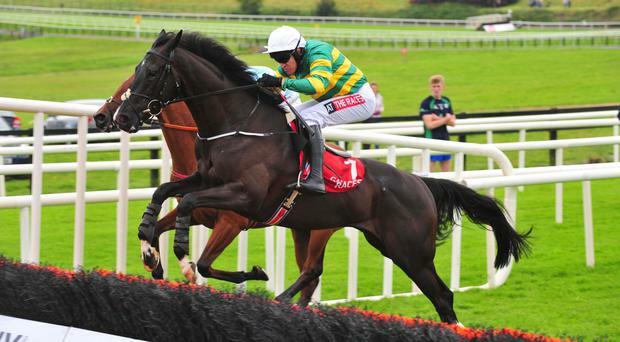 O’Brien, who recently won the Galway Hurdle with McManus’ Tigris River, was absent but McGarvey later said “he was very disappointing the first two runs but travelled and jumped well today and got his head in front and did it well. "He has been a bit of a monkey and Joseph put the cheek-pieces on him today and they seem to have worked. He was probably just the best horse in a weak race. “He had a fair level on the Flat but just hadn't really put it into his hurdle form. "It was great to get his head in front today." Unicorn, a son of Galileo, had previously won a Leopardstown flat maiden in 2015, when ridden by his new trainer Joseph O’Brien. Update from HRI Inescapable is no longer with us condolences to all connected with the filly. Despite proving friendless with punters, Hardback came out on top in the opener at Sligo, the Clayton Hotel Maiden Hurdle. As short as 9/2 in early shows, the Joseph O'Brien trained six-year-old opened on-course at 14s, before going off a 16/1 chance in the colours of Gigginstown House Stud. The son of Mozorov unseated on his only previous start in a point-to-point in March 2015, and was settled behind the leaders today by Davy Russell. He came with his challenge on the outer from two out, and gained a narrow lead before the last, staying on well under pressure on the run-in to see off the challenge of Silver Star by half a length. The runner-up was returned at 5/1 under Paul Townend for Alan Fleming, while the 6/4 favourite Sharps Choice was a further two and a half lengths back in third for Ruby Walsh and Willie Mullins. Russell said afterwards: "They weren't sure what he was really coming here. Obviously he's a six-year-old but I'd say he's fine and we're pleasantly surprised." 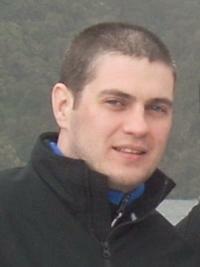 Joseph's Galway festival totals- 1st = 4, 2nd = 3, 3rd = 3 & 4th =4. 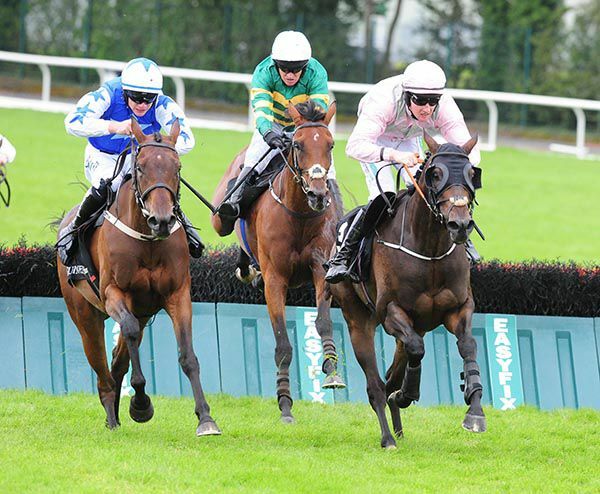 It was a great week at Galway with four winners and a couple more knocking at the door. Most horses ran well and we were obviously delighted. It was special to follow in my father’s footsteps with a win in the Galway Hurdle. It’s one of the biggest races of the year and offered good prize money so it was great to come out on top. Tigris River seems to have come out of the race well so we will have a look in the coming week to firm up some plans for him. We won’t be in any rush to get him back on the track anyway. I was very happy with how High Language ran in the maiden on Friday. She may have finished third but it was a very good third and considering how bad the ground was over the weekend I was also pleased with the run of Big Ben on Saturday. When you add the runs of Le Richebourg and Housesofparliament you can see why I’m delighted with the week. Over at Goodwood it was a funny week the way things went with the ground. It was still a great week of racing but the ground threw up some funny results. Considering the conditions, Winter’s win in the Nassau Stakes was impressive. It would have been far from ideal for her but she showed a great turn of foot. Big Ben is likely to be a warm order for the opening O'Leary Insurances Maiden Hurdle on the penultimate day of the Galway Festival on Saturday. Trainer Joseph O'Brien, owner JP McManus and jockey Barry Geraghty have already been among the winners at Ballybrit, most notably with Thursday's Galway Hurdle hero Tigris River. Big Ben, the winner of a Curragh maiden on his final start for Aidan O'Brien last summer, has run just once over hurdles, filling the runner-up spot behind stablemate Landofhopeandglory at Fairyhouse last November. Given Landofhopeandglory went on to confirm himself as one of the major players in the juvenile hurdle division, that is excellent form in the context of this race and Big Ben should prove very hard to beat if fit enough to do himself justice following the lengthy absence. Twenty years on from his father Aidan's win with Toast The Spreece, Joseph joined him as a Galway Hurdle winning trainer when the J P McManus-owned Tigris River landed the 2017 renewal of the Grade A Guinness-backed two miler. Barry Geraghty was winning the huge pot for the first time, and his mount, a son of Montjeu, was stepping up on his fifth placing in this contest twelve months back. Only back from injury this week, Geraghty conjured a serious late rattle from Tigris River (5/1) to collar Swamp Fox for a neck win. It was heartbreak for Swamp Fox's backers and connections as he was also runner-up in the amateur handicap here on the opening night. In-foal Airlie Beach ended up five lengths back in third with Joey Sasa three and a quarter lengths further back in fourth. "Barry gave him a great ride. 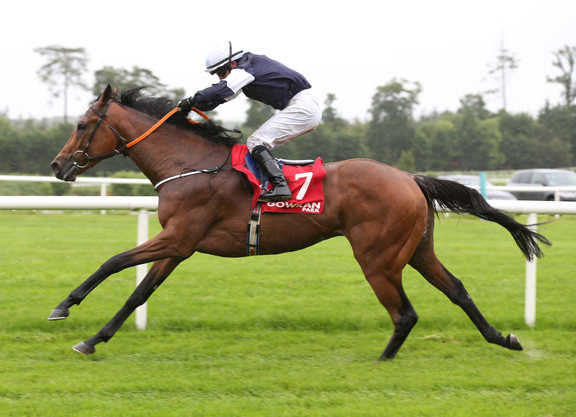 The horse was probably flat out the whole way because he was probably a bit further back than ideal," said O'Brien. "I'm delighted as the preparation went perfect but I didn't think he'd get there at the last. There's no stronger man in the saddle than Barry though." For his part Geraghty commented: "I said to Barry (Browne, rider of Swamp Fox) pulling up that you'll have 20 years to win one of these as that's how long I've been trying. "Joseph had this fella in great shape though he never looked a winner until the death." McManus and O'Brien were doubling their score on this card as they'd also captured the opening beginners chase with the JJ Slevin partnered Tesseract. It's a day that'll take some topping for the O'Brien clan. The Nassau Stakes over at Goodwood went to their Winter, whilst Donnacha rode their Corrib Fillies Stakes victor here at Galway, Music Box. 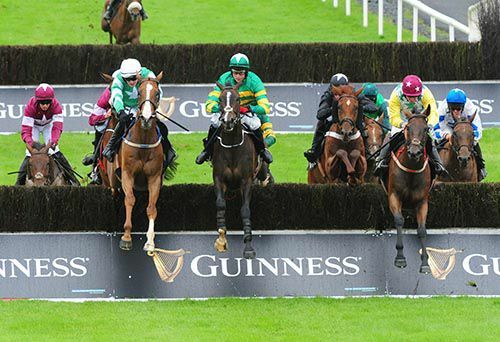 The opening Guinness Galway Gold Beginners Chase seemed to be a muddling affair where many held chances until late on. Tesseract was the one to find most when it mattered to prevail for Joseph O'Brien and J J Slevin. Winning owner J P McManus, and Joseph O'Brien, had the 7/1 scorer, and Oathkeeper in the line-up. Four to one favourite Oathkeeper came to grief at the last when still in touch. Tesseract meanwhile was always on the sharp-end and at the death he clung on by a neck from Dont Tell No One. There was five and a half lengths back to Ballela Boy in third. "J.J. gave him a lovely positive ride and was good and positive on him. His jumping was much better today and I'm delighted," said the winning trainer. "He has never run at that trip until now and it would make sense to stick to that trip now and we'll find a novice next." 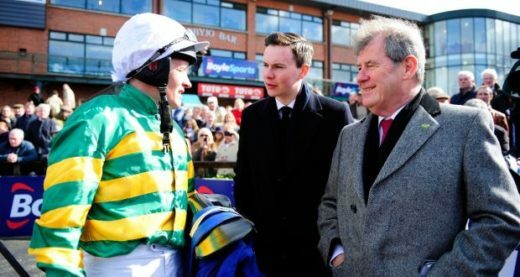 It was another opening race winner at the 2017 festival for J P McManus and Joseph O'Brien following on from Le Richebourg (Monday) and Housesofparliament (Tuesday). 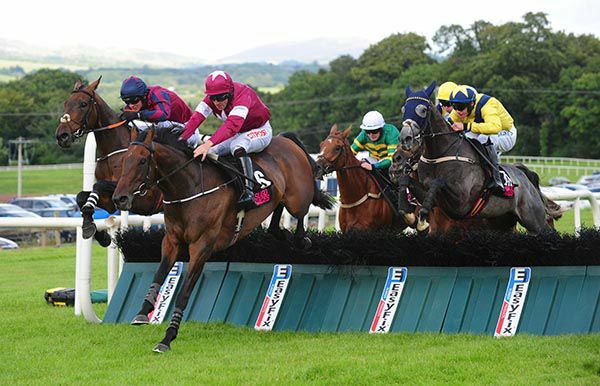 Owner J.P. McManus, trainer Joseph O’Brien and jockey Barry Geraghty completed the opening-days’-double at Galway when St Leger third Housesofparliament won Day Two’s opener, the Colm Quinn BMW Novice Hurdle today, 24 hours after the trio won the festival opener with Le Richebourg. Ex-Ballydoyle trained Housesofparliament, a well backed 11/4 second-favourite, wandered around inside the final furlong but maintained his lead to the line for a length and three parts win over Morgan. The win was also Geraghty’s second in as many days since returning to action yesterday, having fractured his left arm in a fall in the Irish Grand National in April 17. Afterwards Joseph O’Brien stated “it wasn’t ideal the way the race worked out but it was great he won. “He got his jumping together after a couple and you’d have to be happy as there was plenty word for a few of them in it. 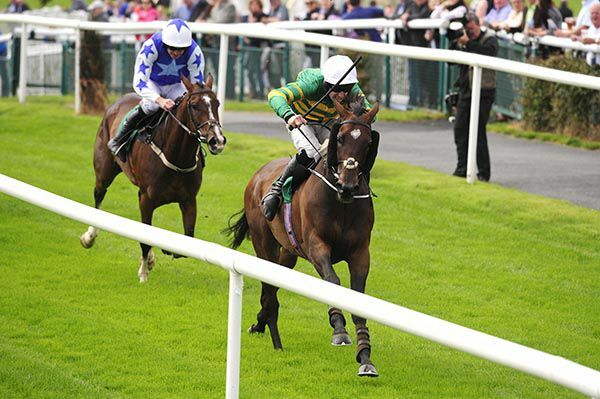 Geraghty added “he was a good Flat horse and was third in the Leger at Doncaster. He was workmanlike but jumped well and he'll improve for the experience.